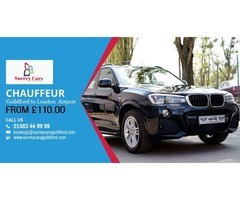 Our office in Woking, Surrey serves domestic travelers and private travelers with the most reliable, efficient, safe, professional private hire, taxi and chauffeur services in Woking. 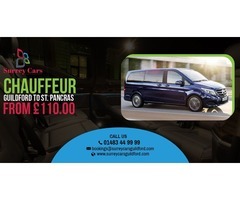 You can avail our taxi and chauffeur driven car hire services 24 hours a day seven days a week in Woking for airport transfers, wedding transfers, tours, nights outs, sporting events & business trips. 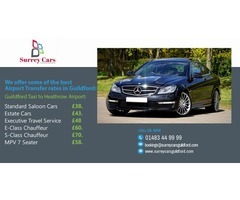 Surrey Cars Woking Specialise in Woking Airport Taxis & chauffeur driven cars to and from all major airports. If you book our taxi or chauffeur driven car for airport transfers in Woking then our driver will be responsible to meet and greet you at the airport and help you with your luggage.